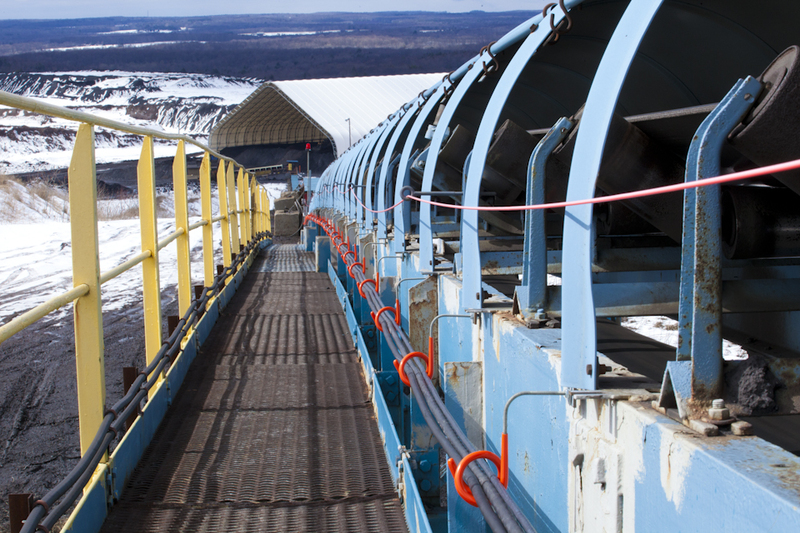 CAB Conveyor Hangers offer safe, efficient support for electrical, control and communication cables along conveyor beltlines. CAB’s innovative spiral design allows for quick and easy installation or removal of cables for added flexibility on job sites. CAB spiral carriers securely retain cables, even with vibration and movement of beltline structure. For added safety and protection, all carriers are coated with 80 mil (2mm) thickness of durable, high dielectric grade, flame retardant PVC Plastisol. CAB Conveyor Hangers safely and securely retain all types of cables along beltline structure. CAB Products are specified by engineers worldwide. Many sizes and configurations available, including styles ideal for pull cords. Custom hangers are a specialty at CAB.